Enjoy a charity clay shoot at Lady’s Wood Shooting School. This outstanding Shooting School caters for 10 teams of four guns. It will cost £500 per team, which includes clays, prizes and a delicious curry lunch for all four team members. 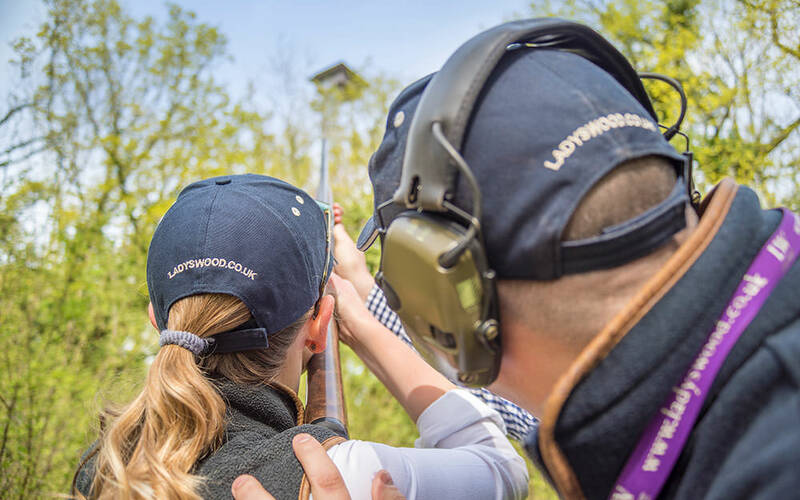 Set in 55 acres of natural woodland, Lady’s Wood offers the most comprehensive range of clay pigeon shooting facilities. In 2017, the shoot raised over £2,000 to provide financial, medical and community aid in the Gurkhas’ native country of Nepal, as well as providing support to ex-Gurkhas and their families now based here in the UK. Read about the event here. 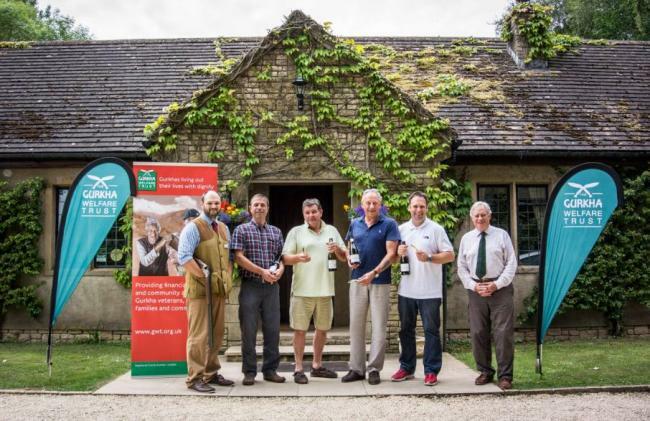 Chris Hanks (Manager and Instructor at Lady’s Wood Shooting School), winning team John Harvey, Mark Bradshaw, Dave Clifford and Paul Cornish and Brigadier Bruce Jackman (Chairman of The GWT’s Western Branch).